“How can one describe those incredible times,” wrote Stefan Lorant in “Seig Heil,” a personal history of post-World War I Germany. “Punitive reparations had virtually depleted its treasury and drained its resources.” But even more crippling were the large sums (40 million gold marks) spent daily by the Weimar government to pay its war reparations, launching an economic crisis that caused the ruinous inflation of 1922-23. Five years after Germany’s defeat to the allies in the first world war Germany’s immense war debt caused the German mark to take such a nosedive that its value in the world market and buying power inside Germany changed virtually minute by minute. At the beginning of 1923 the American dollar was worth 7,424 marks, by August the rate had risen to over a million, in November the rate increased to 600 billion, and by December the figure skyrocketed to 4,210,500,000,000. The 35 Reichsbank printing presses working night and day could not print the new denominations fast enough to satisfy demand or keep up with inflation, so a flood of unofficial notgeld, or emergency scrip, was issued daily by towns and businesses. Famous are the black and white wire photographs of Germans pushing wheelbarrows piled high with cash to the local bakery to buy bread or carrying wheel barrows of bills to the grocery for butter and other necessities. The average worker could not keep up with the rising cost of living. Savings were ruined and pensions were worthless. Reichsbank notes were wastepaper, their only tangible asset was as heating fuel. This untenable condition continued for over a year until the government lead by the chancellor Gustav Stresemann issued a proclamation ending passive resistance in the Ruhr, and introduced the Rentenmark (a more manageable denomination that literally knocked nine zeros off bringing the exchange rate from 4.2 billion marks to 4.20 marks per dollar), which was a step towards stabilizing the ravaged economy. By 1924 other strict belt-tightening measures helped slow the downward turn. But as history shows, the economic condition fueled national conflicts, rivalries, hatreds, and resentments. The Weimar Republic was doomed by the forces of German nationalism. The only minor virtue to emerge from this critical period was the exemplary artistic quality of the emergency notgeld bills and substitute paper money (ersertzgeld) issued by cities, states, banks, political groups, and businesses to ease the burden on the Reichsbank and, more important, provide some semblance of economic stability for the individual citizens who were naturally panicked by the state of economic affairs. Practically speaking, since official Reichsbank notes were virtually worthless, most emergency money issued by individual towns was accepted on faith. Used as instruments of barter, ersertzgeld and notgeld (akin to store coupons) issued by businesses were redeemable for goods or services. In fact, notgeld began as a kind of redeemable coupon in prisoner of war camps during World War I as a physical means for paying wages to allied prisoners for laboring for the local industries outside the prison camps. Officially, these vouchers had value only for POWs in the camp kitchens and with blackmarketeers, but despite government regulations some bills managed to circulate among civilians. This form of substitute money (which preceded the large denomination emergency money that came shortly after) began a few years before the inflationary vortex began to spiral. With the permission, or in most instances the silent agreement, of the government finance ministry, local and private institutions could cheaply print, often on newspaper presses (or in the case of coins at locksmiths or machine plants) bills on rag paper or cardboard. Since these printers were not subject to government standardization the sizes, shapes, and designs were wildly inconsistent. The images reflect the variety of talents and technology ranging from artful to primitive. Though many of the bills are beautifully rendered by artists and designers, many were scrawled by rank amateurs. Since a majority of the printing is inferior compared to the standards of the government printing offices, falsification was difficult to police. For many German and Austrian graphic designers and poster artists the design of the most intricate notes were replete with images of death. Sporting and political groups used their own iconography, such as the steel helmet that appears on the notes issued by the Stalhelm (a nationalist group that would later merge with the Nazis). Some of the notes included stylistic lettering, while others were rooted in classicism. Many were vibrantly colorful, others somberly monochromatic, while others were rooted in classicism. By the summer of 1923 paper money lost all value. Only real products or things had quantifiable worth were used as payment. Leather producing firms gave out their salaries in the form of shoe soles, brickworks in bricks, food processors offered sugar or margarine. The suppliers of electricity, gas, and water issued vouchers, but even these vouchers had to be redeemed on the day of issue — wait a moment and the rates would dramatically increase. Stresemann’s conciliatory stance with the allies and his government’s attempt to regain control of the railways and other vital industries—relinquished to private owners as conditions of Germany’s surrender—ultimately helped stabilize the national economy, but ignited further acrimony among left and right factions. Notgeld was representative of a world gone mad and art gone wild. Thousands of different variations were produced between 1918 and 1924. Their artistry was recognized in issues of Das Plakat, Germany’s most respected advertising arts magazine. In 1939 legislation made it unlawful to produce substitute money, but the same law included that the Riechsbank would provide the proper “value signs.” By 1945 the second world war was over and with the nation split into four occupation zones, the Riechsbank was in no position to forbid anything, nor could it produce enough currency itself. After a short period of economic crisis the allies quickly stabilized German currency and notgeld was halted completely. 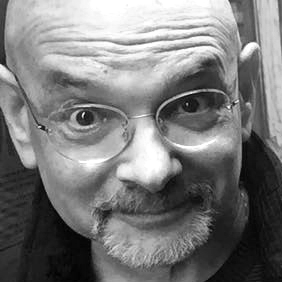 Steven Heller is the co-chair (with Lita Talarico) of the School of Visual Arts MFA Design / Designer as Author + Entrepreneur program and the SVA Masters Workshop in Rome. He writes the Visuals column for the New York Times Book Review, a weekly column for The Atlantic online and The Daily Heller. Are there limits to free speech? Seymour Chwast, a man of few words, wishes there were more than 26 letters in the alphabet. Die Neue Typographie (The New Typography), the early 20th century revolution in graphic design, is being re-evaluated this year in light of the Bauhaus centenary. On Thomas Heatherwick’s much anticipated giant honeycomb, 150 foot-tall “Vessel” structure, the centerpiece of the Hudson Yards outdoor plaza, bathed in reflective copper-steel, comprised of 154 staircases and 80 landings. “In today’s print news, legible print is on a collision course with flights of fancy by graphic artists,” Ralph Nadar’s blistering attack begins.